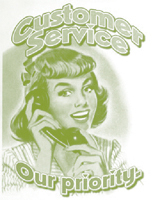 Service is the "new" buzz word used by many businesses in an attempt to re-attract you to them. At Itech, service has been one of the three cornerstones we built our business since day one. To many people, just the thought of having to have an item serviced is an unpleasant one. Besides the fact that your item is not working, the fear of being taken advantage of by unscrupulous businesses is not uncommon. Choosing a service provider is difficult at best. Offers of “free” services often sound good up front, but more often than not, these methods are simply a method of getting the work in the door. Once in, the customer is at the mercy of the provider, and unfortunately, there are many horror stories about customers being taken advantage of monetarily, in the quality of the work performed, in the quality of the components used, and the lack of integrity after the bill has been paid. We understand this. For eighteen years we have heard these stories time and time again. It never ceases to amaze us how companies can remain in business with some of the practices they employ, and the lack of respect they provide to their customers. So what makes us different? Why should we be entrusted with your service work? First of all, we have been building, selling and servicing PCs since 1995. We have always relied on the satisfaction of our customers to grow our business with their kind words and referrals. Secondly, we have established an up front service pricing policy. Our shop rates are fair, and you will never be surprised with a "it took us longer than we thought" labour charge. Thirdly, we take the time to understand your individual needs, and explain the steps we will take to ensure that your needs are being addressed. This includes things such as data backup, hardware changes, protection of important files, in order to eliminate surprises when you receive your system back. Lastly, we are here if you have after-service questions, concerns or issues. Our goal is, and always has been, that you are 100% satisfied with your experience. • Desktop or Notebook running slower than it used to? • Are you protected from viruses, malware & spyware? • Are you suffering from sporadic shutdown issues, freezing, lockups? • Are you in need of more performance, but not looking to completely replace your tower? • Looking to option your system to increase it's usefulness for the tasks you bought it for? We are a full-featured service shop, and have the tools, parts and most importantly, the know-how to troubleshoot, test and repair your system to extend it's useful service life for far less than you think. • Internet running slowly or sporadic? • Having trouble with signal strength in your house/apartment? • Looking to extend your wireless range to cover your outbuilding/yard? 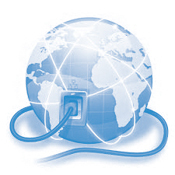 • Unsure whether your home network is safe from outside eyes? • Concerned about security when using public Wi-Fi? We have the solution for you. From High-gain routers, wireless extenders, switches and external antennas to all the cables, jacks and accessories, we can improve your wireless performance and ensure that your system is secure. 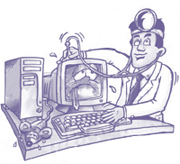 We have both the tools and expertise to help you in the unfortunate event you experience a critical system failure. We understand that recovering irreplaceable photos, videos and documents is not something that should be entrusted to just anyone who "thinks" they know what to do. Unfortunately, many people lose their data by trying to save a buck. We can usually recover files from almost any storage medium, from disk drives, external enclosures, RAID sets, and flash memory cards. We can also provide you with the means to protect your digital data, and hopefully you will speak to us for this service prior to needing us to perform the one above.